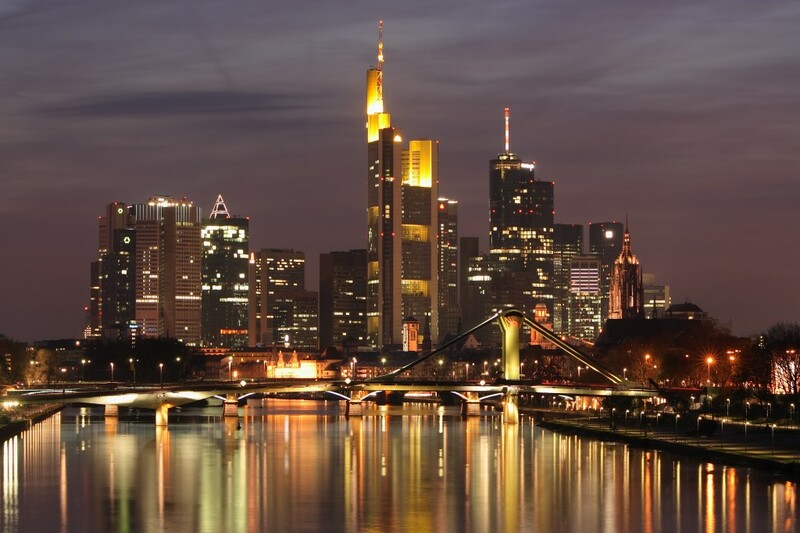 Visitors exploring Frankfurt can enjoy some very luxurious hotel stays, but even with a wonderfully cosy bed, great food and superb spa facilities, nothing will stop curious visitors venturing out to explore this fascinating and vibrant city. There is certainly plenty to see, from the historic old town with its timber-framed medieval buildings and the spectacular cathedral, through to the sleek, towering skyscrapers that mark out one of Europe’s biggest financial centres. Not for nothing is Frankfurt nicknamed Mainhattan. Looking up at them from the street, many visitors will be itching to get up there and see what the panoramic view of the city looks like. And the good news is you can do just that. The Main Tower is open to the public daily and offers a chance to take in the incredible view from the top of one of Germany’s loftiest skyscrapers. Completed in 2000, the Main Tower is 240 m (787 ft) high and has an all-glass facade with no less than 2,550 windows. There are also 29 lifts, although those who feel very fit can try taking the stairs – all 1,090 of them. From the observation deck, visitors can marvel at the cityscape beyond, not least all the other skyscrapers. For older Frankfurters this has represented a remarkable transformation, as the Kaiserdom Cathedral was still the tallest building in the city until the 1950s. With the deck being right on top of the building and open to the elements, it is not for the faint-hearted. However, for those who have no head for heights at all, there is a chance to have a meal with a view in the restaurant, which has 80 places plus ten more in a private lounge that can be hired out. The tower is open from 08:00 to 20:00 Mondays to Fridays and 10:00 to 16:00 at weekends, with admission costing €6.50. Once you have seen the view from the top, you will never think of Frankfurt the same way again.